Andrea Parnham is has a C-List Specialist Regulatory Advocate. She has a wide-ranging regulatory practise and has prosecuted on behalf of a variety of regulatory bodies. This enables her to turn her hand effectively to many different regulatory regimes for the prosecution or the defence. Andrea is adept at handling large scale cases and is able to pinpoint the real issues in the cases accurately and comprehensively. In 2015 Andrea undertook a secondment to the Environment Agency working along prosecutors within the Agency, she gained invaluable experience and knowledge of the relevant law as well as advising on complex issues and appearing in the Magistrates Court. In 2016 Andrea undertook a secondment with Humberside Police. During her secondment, she worked on a wide variety of police matters from Dangerous dogs to domestic violence protection orders to Police discipline. She advised the police on a wide variety of matters. Andrea developed a particular specialism in Sexual Harm Prevention Orders advising the force on applications for new orders as well as variations to existing orders. Andrea also represented the Chief Constable of Humberside Police in both the crown court and the magistrates court in relation to a variety of matters. Andrea was called to the Bar after an 11-year career in the police service involving operational, investigative and executive roles. She was a detective and attained the rank of inspector. Her previous experience and thorough working knowledge of police policy and procedure has often proved invaluable. Her last posting was as the inspector in the Professional Standards Department dealing with all matters of police complaints and discipline. She has a credible working knowledge of police regulations, policies and procedures. Her experience has helped shape her exceptional people skills and her forensic approach to detail in cases. 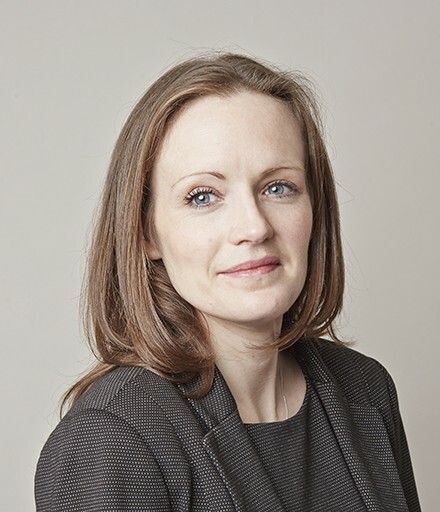 During her pupillage, she was supervised by Craig Hassall and experienced first-hand a variety of cases involving regulatory and financial aspects. Andrea undertook a common-law pupillage under the supervision of Matthew Smith, Craig Hassall and Sally Beaumont. North Yorkshire Fire and Rescue Service v Sloping Tactic 2018 – Acted for the Fire Service successfully opposing an appeal against sentence in a case where the lower court had imposed a large fine. Chief Constable of Humberside Police v Ben Lumby 2016 – Andrea made a successful application for a Sexual Harm Prevention Order. The hearing involved complex issues and vulnerable witnesses. In a first for Humberside Police the order was granted despite the respondent not having and previous convictions for sexual offences. Chief Constable of Humberside Police v David Cheatle 2016 – Andrea successfully argued against an application to discharge the order and ensured that the conditions imposed enabled the Police to manage the applicant appropriately. Three Barristers from Park Square Barristers Criminal Team have successfully prosecuted 20 men in a large scale grooming case in Huddersfield. Andrea’s response, against a leading QC for the appellant, saw the appeal dismissed – upholding the substantial fine of £110,000, plus £2,863 prosecution costs and a £120 statutory surcharge.